If you don’t at least look at the Liturgy blog of Fr. Bosco Peters, you’re missing out on a thoughtful voice grounded in an ecumenical appreciation of our ways coming from the New Zealand perspective. I find him to be a great representative of the best of the Vatican II spirit and tradition in ecumenical liturgy. His latest post on the Creed, though, I find just plain wrong. He argues for dropping the Nicene Creed in the Eucharist because it serves functionally as a doublet for the beginning of the Eucharistic Prayer. That is, if I’m reading him right, he’s arguing that both the Creed and the beginning of any decent Eucharistic Prayer are both about the mighty acts of God and therefore the Creed can be considered extraneous. Furthermore, he suggests that the Creed began being used in the liturgy when the Eucharistic Prayer went silent, and that since we are back to a clearly-heard Canon, the utility of the Creed has outlived its purpose. I disagree. There is some support for the notion of the Creed as a rehearsal of the acts of God if you look at the missionary preaching of the early medieval period. That is, Augustine’s On the Catechizing of the Uninitiated takes the creed as a basic framework for the Christian proclamation. Following Augustine, Martin of Braga (+580), Pirmin (+753), and my buddy Ælfric all use the creedal frame for their communication of the basics of the Faith. But that’s not to say that rehearsal of the acts of God is its only or even primary function. Rather, its primary function was—and remains—to lay down the fundamental boundaries of interpretation within which the Church reads the Scriptures. As I see it, the Creed was added into the Mass during the Carolingian period because there were a lot of fundamentally unformed Christians. Adding the Creed was a way to put the framework of the Faith and the basic interpretive rubrics in front of as many people as possible. Furthermore, as we can plainly see, repetition of the Creed alone is not sufficient; it has to be explained and understood. But at least if it’s heard regularly, it provides catechists with a starting point! This entry was posted in Uncategorized on July 2, 2013 by Derek A. Olsen. Cyril makes the same sort of point–you must know scripture and if you can’t read, attend mass. You will hear it read and you will memorize the creed. The creed tells you, in short form, all things that are necessary. I have always thought of the creed as I do of the warning signs in the English Moors: “Unstable Ground. Keep Off”. That gives me the freedom to wander about on this side of that boundary while avoiding the dangers of bogs and quicksands on the far side. And somewhere the pronoun “We…” needs to be spoken very loudly and very clearly to/with/by the entire community—no place better than Sunday Eucharist. Once huge difference between the Creed and the Eucharistic Prayer today is that the congregation always sings or says the former – and never sings or says the latter. So even if the content were the same – and I agree with you, Derek, that it’s not – the Creed is an active affirmation of faith in a way that the Eucharistic Prayer just isn’t. (This is exactly why people object to it, I’d say!) Speaking and listening are two different kinds of things. I think of the creed as sandpaper rubbing away at my resistance to some basic Christian doctrine. I need the weekly recital. I do think we should be using the Orthodox form. The Eucharistic prayer focuses on Jesus’ sacrifice, and doesn’t include the Father and the Holy Spirit. The creed and the Eucharistic prayer serve different purposes and we need both. I never knew I was a secretly a Gnostic until I said the Creed every Sunday. “I believe in the resurrection of the body” is some soul-changing stuff. Thank you for your encouragement and for engaging seriously with my point. Your points, however, argue against your own conclusion. Augustine did not include the Creed in his Eucharistic rite. I regularly teach, catechise, and preach through the Creed. I am doing this currently in my community, and my post you point to is part of a series on the Creed that I have been posting for seven weeks and I’m really only up to the second line. Your Augustine argument would only hold if Augustine inserted the Creed into his rite. I’m with Augustine! For decades I have sat in the pews of churches that religiously recite the Creed – I’m struggling to remember any occasion when it was preached or taught about. So from both directions – there is no connection between compulsory Eucharistic Creedal recitation and Creedal exploration. Your last point is the clincher. Having recited the Creed compulsorily week by week you look around at a an awful lot of Christians who do not grasp the basics of the Faith. And even worse are those who think they know it, by reciting this Creed week by week, but are woefully lacking. Oh oh! Did I not say? It’s alive and it’s the basis of my current work on teaching apologetics. I’m presenting a paper on it next year if all goes as planned. No, actually, my points don’t argue against my conclusion. I was seeing your points in the best possible light which does show the usefulness of the Creed as a teaching tool. And, as I acknowledged, simply reciting it is not enough. That doesn’t mean that it should be scrapped, however. Nor does it suggest that your doublet theory holds much water. So Augustine was “plain wrong” (your words in your post) in not having his community recite the Creed? If you read all the comments on my two facebook posts and on my original blog post you will see that generally if one were to ask Christians when they celebrate the mighty acts of God in the Eucharistic rite they will point to the Creed (try a survey in your parish if you like). The Eucharistic Prayer is not experienced as the community’s prayer. It is not experienced as the community’s celebration of God’s mighty acts. Now go and ask the same question of a community that does not recite the Creed. Then let’s talk about what you, not I, term a “doublet”. I want to see the energy currently, in Eucharistic rites, poured into the Creed moved back to the Eucharistic Prayer where it belongs – and where Augustine and his community certainly would have had it. I don’t think Augustine’s omission of Eucharist recitation of the Creed in the liturgy of Hippo has any bearing on what we should do today. Whether or not the Creed was top secret material in Augustine’s time (I’d argue that the ecumenical Creeds had a status akin to public record), he still lived in an era where people liturgically behaved as if it were top secret material. I don’t think we can divorce Patristic choices about the shape of the Eucharist from their catechetical practices. Second, that there was once some analogy between Christian and Jewish liturgical practice can be helpful, but they are very much independent developments. Christianity evolved in a dynamic time in Jewish liturgy associated with the destruction of the Temple. Christians and Jews made different choices with the same liturgical outlines. Indeed, the influence of Greco-Roman practice on Christian Eucharistic rites is strong as well. I am wary of any arguments that argue on direct analogies between Christian and Jewish practice. Third, I used to be in a parish that omitted the recitation of the Nicene Creed contrary to the American rubrics. One motivation might have been the publicly expressed doubts of some of the clergy and staff in what was proclaimed there. At some point, they also started to celebrate the Eucharist with prayers of their own creation that better expressed their faith in Christ. These prayers certainly had new energy, but they were a way of working out clerical doubts, not a way of better edifying the gathered community. For those who have a mature formation, the Creed is the standard of accountability for the teaching of the Faith. The text is not the standard alone but also the Patristic witness about God, Creation/Humans, and the Church to which it points. Those who recite it at least convince me that they acknowledge that standard. Those who teach it will gain my trust. In reviewing our EP’s in fact there is a great deal of overlap of content if we see them as a canon rather than in isolation. However, I don’t see that this means we need not say or better yet sing the Creed. The Creed from my pov is like a Canticle, praying/singing Who God Is and for us with the pivot being the Incarnate One by and around Whom the wonder and fullness of and hope for creation and of the ecclesial community as witness is spoken into being and shown forth. It has a Trinitarian-Christofocus if not centrism. It may have begun it’s life in liturgies as a yardstick to measure orthodoxy, but it that is not where it has stopped. I might add that simply because creedal content shows up in our EP’s does not mean we need bend ourselves to a linear way of thinking in relation to liturgy. Liturgy meanders again and again through the same formulae in different ways because it gets into our bones differently than an argument. Rather there are multiple resonances that ping back and forth throughout, including those we bring to liturgy because of our own formation, reading, prayer life, etc. so that meanings are rich. This is why liturgy of another time and place can still speak and mean and move us to live differently in a very different context. A related argument has been made re: the Words of Institution, that because the evidence we have does not have them showing up in EP’s prior to the 4th Century, we need them not. The thing is, we are responsible not only for 2nd Century commitments, but to 4th Century, and to 16th Century…these commitments are not dry dogmas, but commitments about Who we as the witnessing community have discovered God to be for us in Christ over time by the power of the Spirit. Very cool–Glad to hear that! I really appreciate these thoughts. Thank you. It’s clear that if you want to rewrite the liturgy to express your own beliefs, the very first thing that has to go is the Creed. I’m drawn to spiritual, theological and liturgical adventuring. The creeds keep me safe. So, Derek, how many lay people out in the provinces could understand the Nicene Creed in Latin, way back then? How many could read or write in any language, even their own? I think you are eisogeting not exogeting here, but please explain. I thought about the Latin problem, too. But if anything, adding the Creed seems it might have been one thing people could hold on to. After all, it’s a repetition week by week; once you have committed it to memory, it’s there forever – like the Lord’s Prayer. This is unlike the problem of the reading of Scripture ; that must truly have been unintelligible to most. I was going to ask about this myself ; does anybody know more about this? The good news is that blogging has changed the game. Now it’s possible to point out (and hopefully help put the brakes on) the clericalism that actually exists in this regard. 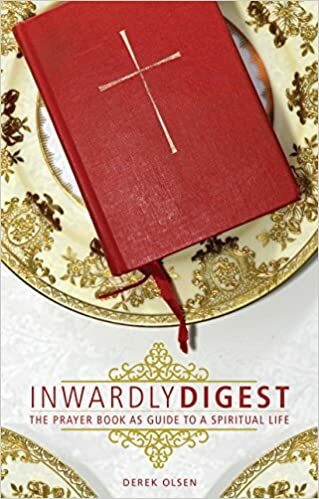 In other words, perhaps a gentle reminder from “below” that, as Derek often points out, the Prayer Book is a contract between and among Episcopalians, can be an effective check on priests tempted to work out their own issues on their congregations. This, as he also points out is in fact one of our problems inTEC…..
Don’t forget that since the 4th century Western councils insisted that the laity be instructed in the Lord’s Prayer, 10 commandments, and Creed in their own tongue. I can’t say how comprehensible Latin was to the average early 9th century Frank–I think it’s an open question–but if they couldn’t understand it they should have been taught the sense in their mother tongue. Examples of this appear in the Old English sermons particularly for the Rotation days. As OE represents our earliest written vernacular it’s likely similar teaching was occurring in other places. As literacy improved in the high medieval period, it’s no surprise that we see explications of the creed in both vernacular Mass devotionals and vernacular categorical works. So–you can’t assume that they didn’t know it based on just language and/or literacy. In TEC that’s certainly the case. I don’t know what the New Zealand rules do or Don’t say. James, isn’t this sort of the same concept as using “Church Slavonic” in Orthodoxy? I mean, even if you don’t know what’s going on at first, don’t you start to learn it? And after all the weekly repetition, don’t people have the sense of what’s going on – and don’t they learn the sense of the various parts of the rite? I know people knew the sense of the Lord’s Prayer in Latin – and even I can say the Creed in Latin, and know what it means – just because of all the composed masses! And let me ask, just as an aside: in what language are the Scriptures read in churches that conduct their liturgies in Church Slavonic? I want to add one last note on this: I don’t get the notion that our liturgy is too long or any particular reason that we need to be cutting anything out. Anyone who observes any ECUSA liturgy in a typical parish can readily see that the part that makes it drag on is the interminable gap between “the peace of the Lord be always with you” and “The Lord be with you.” Roving bands of hand-shaking and embracing parishioners and endless announcements are where the fat is in the typical liturgy. I’m timing my reading of the Creed at 1:15, and even slowing that down to a stately tempo and putting some padding in, we’re talking two to three minutes, tops. I can also remember the days, not twenty-fives years ago, when the Sunday liturgy at the not-particularly-large parishes I attended were an hour and a half long. Have we suddenly grown so impatient, or have we fallen into doing such a poor job that nobody really wants to be there? I believe the Creed, and we recite it in all of our Sunday worship services. We omitted it from one service for a while (with the bishop’s permission), then added it back after about a year, because we missed the strong orthodox grounding it gave to each service. Nevertheless, I am still ambivalent about its inclusion. The problem is that our Sunday Eucharistic worship is the major entry point into Christian faith in most churches. One could argue that it shouldn’t be, and that some sort of catechesis should be the entry point instead, but the fact is that most new people who enter the church do so through the experience of worship. I have had several “experimenting” (but baptized) new attendees tell me how uncomfortable the recitation of the Creed is for them. I have patiently explained that the Creed recites the beliefs of the Church and not necessarily every individual at every moment (we all move in and out of doubt on various issues of belief), and I have done my best in worship and catechesis to teach about our creedal beliefs, but that doesn’t assuage their experience of discomfort – they didn’t feel they could participate with integrity. One person actually left the church over this issue, to my regret. This problem for me is not so much a problem with the Creed as it is a problem with us as a church, and our attitude toward evangelism. The very structure of our primary Sunday worship experience (Creed and Eucharist) seems to assume that everyone who attends is already a member. Having said that, I will add that we added the Creed back to our more “seeker”-oriented Sunday worship service, because those regular attenders for whom this was their primary service needed to have that grounding. And I wanted to be clear about our orthodox beliefs. We are not Unitarians – we are Trinitarian Christians who believe and proclaim the ancient doctrines of the church. And actually, I didn’t participate in Communion for at least two years, either, although I could have. It was for the same reason: I didn’t believe in it. I didn’t feel left out; I just sat in my seat and sang the hymn. I didn’t expect to agree with everything I heard in church – which was a good thing, because I definitely didn’t! But I still got quite a lot out of the services; good hymns and other music go a long way. It’s only now (after almost 10 years) that I feel I can assent to almost everything that goes on. I think it’s actually better to tailor the main service so that active members get what they need; “seekers” are by definition looking for something – something you may not ever be offering. So I don’t think it makes sense to adjust the service for them; the regulars come every week, and should get the full treatment, IMO. And there’s always “Rite III,” which is very flexible and can be used at any other time except the main Sunday service; a nearby parish, for instance, has a Contemporary service on Saturday evening, and they don’t say the Creed at that one. That started out with just a few people, and now about 50 come every week. I’m somewhat inclined to say that the dissonance of being in the congregation as an outsider and having the others around you say the creed is maybe a good thing. I wonder if I might add an ‘Anabaptist Anglican’ perspective here. Mennonite theologians at least as far back as John Howard Yoder have pointed out that there is a glaring omission in both the Apostles’ and Nicene Creeds – that is, that they jump straight from Jesus’ birth to his death, with no mention at all of his life and teachings. This of course was convenient, given that the Nicene Creed took shape at a time when a newly ‘Christian’ empire was beginning to find some of Jesus’ teachings (simplicity of life, for instance, or love for enemies) rather inconvenient. Yoder was not expressing disbelief in the doctrines of the creeds, and neither am I – he was simply expressing reservations about their adequacy as summaries of the Faith, when they completely omit any reference to the life and teaching of Jesus. Again, this perspective misses the primary function of the Creeds. They are not first and foremost summaries of the faith. First and foremost they are hermeneutical guides. The Creeds identify the Church’s authoritative position on questions of biblical interpretation. In the time of their construction there were questions about the nature of the world, the identity of the creator being, the relationship of the material world to the true God, and, of course, the identity of Jesus and the relationship of Jesus to the true God. The Creeds nail down the important interpretive cruxes within these debates. Neither his teachings or his miracles were in question, though. All concerned agreed that these took place as recorded in the Gospels (although some wished to add more of both!) Since there was no debate about them, they did not need to be authoritatively stated in the Creeds. Thus in the secondary (or even tertiary…) function of the Creeds, the absence of the earthly doings of Jesus may be an issue; in the primary function, it is not. To me, this is what makes the content of the Creed entirely different from the Eucharistic Prayer. The Creed discusses the nature of things; the EP talks about events. Both are necessary, IMO – and if anything, I think the Creed is even more necessary now, because discussion about the “the nature of things” is precisely what we lack fluency in in our era. I do still have a bit of sympathy with Tim’s point, though; it does sometimes seem strange to me to go straight from Jesus’ birth to his death without a word. Fortunately, the Gospel has just been read and has filled some of that in! Well, yes, if our only interest is historical theology, I can see your point. But if I am using the Creeds today to instruct inquirers into the Christian Faith, then their lack of mention of Jesus’ life and teaching is a serious defect (I’ve made this same criticism of the Alpha Course, too). And of course, the Creeds have been sed in this way historically in Anglicanism (see the old BCP catechisms). Barbara, it’s true that when the Creeds are used liturgically, the Gospel has just been read. This is not the case, however, when they are used catechetically (is that a word??.!!,). Do remember that form of the Nicene Creed used by Anglicans everywhere up through World War Two used the form “I Believe”, not “We Believe”. The Church of Ireland still uses “I believe” in it’s Rite I, and since they finished their new BCP in 2004 this is in no way a historical artifact. The “we” in the Creed is by no means an essential part of it, and personally I would prefer if we reverted to saying “I believe” because “we believe” has given wiggle room to clergy (and laity) who do not themselves believe the creed to claim that they are proclaiming the faith of the church as a whole, not their own personal beliefs.